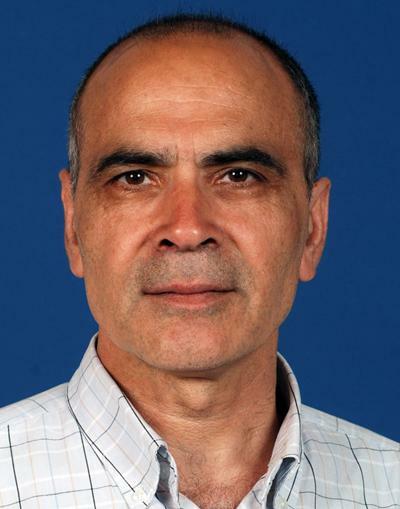 Dr Hormoz Ebrahimnejad is a Lecturer in History at the University of Southampton. My current research stems from my general and long-term interest in the structure of power in Iran (18th-20th centuries). Having experienced the 1979 Revolution in Iran, which was the second after the Bolshevik Revolution of 1917, I was intrigued by how and why such an event occurred. In the space of a few months the Revolution swept out the Shah’s regime, which was, in the words of Jimmy Carter, “the isle of stability in the Middle East”. As a research student in Paris, I was interested in examining how the clerics could take power. However, lack of available sources on this subject in France led me focus on the Qâjâr dynasty in the nineteenth century. For my PhD at Sorbonne, I investigated issues of power and succession under the early Qâjârs. In my first book, Succession et pouvoir en Iran: les premiers Qâjârs 1726-1834 (L’Harmattan, Paris, 1999) through a detailed analysis of the Qâjâr families and clans, I argued that the Shah, contrary to official historiographical discourse or even modern historiography, did not hold absolute power. The seat of sovereignty was shared by various Qâjâr dignitaries. The nebulous structure of power was mainly due to the tribal organisation of the Qâjârs, characterised by horizontal rather than vertical and hierarchical relationships between different clans and families, and in which the transmission of right to rule was based on both maternal and paternal lines. In such a situation, the Shah could only name his successor tacitly. Although such a nomination was also backed by a tacit consensus, after the death of the Shah the heir apparent, had to secure his right to the throne by the sword as well as by relying on the support of foreign powers. During the archival research for my dissertation, I came across a host of material on epidemics, which directly or indirectly affected the political situation. These sources led me to examine the medical manuscripts in the nineteenth century to explore the impact of epidemics on medical literature. Despite the change of subject, my work on the history of medicine continues to address the structure of political power but from a different angle: that of the relationship between the state, medicine, and public health. In my first book, I exclusively discussed problems of political power and the transmission of authority and sovereignty and my research in the history of medicine also covers the transmission and transition of science and knowledge. My second book, Medicine, Public Health and the Qâjâr State: Patterns of Medical Modernisation in Nineteenth-Century Iran (Brill, 2004), examined the medical transformation in Iran from an institutional point of view, arguing that the new state-run institutions (such as the first polytechnic school, the military hospital and the boards of public health) furthered medical professionalization by bringing together traditional physicians and modern-educated doctors. It was thanks to this framework that theoretical and intellectual transition in medicine occurred. The book illustrated the importance of institutional change in medical transformation through the edition and analysis of a Persian manuscript written in the 1860s by a traditional physician. My third book, Medicine in Iran: Profession, Practice and Politics (Palgrave, 2014), complemented the study of medical transformation in Iran by examining the theoretical transition in traditional medicine, and investigating the change in the perception of diseases and medical concepts within the framework of humoral theory. It demonstrates that traditional physicians played an important role in the rise of modern medicine in Iran, not only through their contribution to translate medical texts, but more substantially by overturning the concepts of humoral medicine when applying these in the treatment of epidemic diseases. This process allowed Persian physicians to be more open to new ideas, with the introduction of anatomy-pathology and biomedicine in Iran. The result of this research was to introduce a new historiographical approach in the history of medical modernisation that had thus far segregated Western and non-Western medicines by seeing modernisation as simply the old being pushed out by the new, rather than an internal and intellectual transformation. In order to test these findings against other historical contexts, I organised an international workshop in London (2004), in which several research papers discussed medical modernisation in countries such as Vietnam, Turkey, Egypt, Japan, India and elsewhere. I published the proceedings of this workshop in a book, The Development of Modern Medicine in Non-Western Countries, Historical Perspectives (Routledge, 2009). I am currently working on two different projects: the first is to continue with the question of succession in Iran in the second part of the nineteenth century for a monograph that would be the second volume of my first book on this question. In this book, I will examine how succession took place during the reform era from 1850 to the rise of the Pahlavi dynasty in 1925. My second project is on the Waqf (charitable endowments in Islam) and welfare or public health in the Islamic countries. I will study this question in the context of the rise of Islamism in modern period. The increasing number of waqf and provision of welfare by the Islamist parties through such institutions indicates a change in the structure of political power in Islamic countries, their legitimacy and as a result in the pattern of their succession (transition of power). This project will also examine the impact of the waqf organisation in the development of healthcare system and hospitals. Ebrahimnejad, H. (Accepted/In press). Tradition and modernity: Reflection on the historiography of transformation and change in Modern Iran. British Journal of Middle Eastern Studies. Ebrahimnejad, H. (2005). Book review. Willem Floor, Public Health in Qâjâr Iran. Washington DC: Mage, 2004, 270 pages. Middle East Journal, 59(4). Ebrahimnejad, H. (2005). The development of Galenico-Islamic medicine: assimilation of Greek sciences into Islam. Disquisitions on the Past and Present, 13, 127-140. Ebrahimnejad, H. (2003). Book review. Farokh Earch Udwadia, Man and Medicine: a History, Oxford University Press, 2000, 496 pages. Medical History, 47(3). Ebrahimnejad, H. (2003). Hospital institution and political power. Wellcome History, (22), 8-9. Ebrahimnejad, H. (2003). Modernization, medicine and power in nineteenth-century Iran. IIAS Newsletter, (31), p.20. Ebrahimnejad, H. (2002). Religion and medicine in Iran: from relationship to dissociation. History of Science, 40(1, 127), 57-69. Ebrahimnejad, H. (2001). The socio-political integration of Iran in the 18th and 19th centuries: the creation of modern Iran. Sprawozdania z Posiedzen Komisji Naukowych, XLV(2), 69-70. Ebrahimnejad, H. (2000). Theory and practice in nineteenth century Persian medicine: intellectual and institutional reforms. History of Science, 38, 171-178. Ebrahimnejad, H. (1999). Les épidémies et l’évolution de la médecine dans l’Iran du XIXe siècle. Medicina nei Secoli, 11, 167-196. Ebrahimnejad, H. (1999). Meditsina v Irane: evolutsija i politika. Vratch, (8), 40-41. Ebrahimnejad, H. (1998). Introduction de la médecine européenne en Iran au XIXe siècle. Sciences Sociales et Santé, 16(4), 69-96. Ebrahimnejad, H. (1998). La médecine d’observation en Iran du XIXe siècle. Gesnerus, 55(1-2), 33-57. Ebrahimnejad, H., Floor, W., & Javadi, H. (2018). Lazzat al Nisa (Pleasure of Women). (M. Moleiro ed.) Barcelona: M. Moleiro. Ebrahimnejad, H. (2014). Medicine in Iran: Profession, Practice and Politics 1800-1925. (1 ed.) New York, London, etc...: Palgrave/Macmillan. Ebrahimnejad, H. (Ed.) (2008). The development of modern medicine in non-western countries: historical perspectives. (Royal Asiatic Society Books). Abingdon, GB: Routledge. Serikoff, N. (Ed. ), & Ebrahimnejad, H. (2007). Islamic calligraphy from the Wellcome Library. Chicago Ridge, US: UCL & Serinda. Ebrahimnejad, H. (2004). Medicine, public health, and the Qa?ja?r state: patterns of medical modernization in nineteenth-century Iran. (Sir Henry Wellcome Asian Series; Vol. 4). Leiden, The Netherlands; Boston, USA: Brill. Ebrahimnejad, H. (2000). Pouvoir et succession en Iran. Les premiers Qâjâr 1726-1834. (Moyen Orient et Ocean Indien). L’Harmattan. Ebrahimnejad, H., & , Hôpitaux de Paris (1998). Broussais, un siècle d’histoire: cent cinquantenaire de l'Assistance publique - Hôpitaux de Paris. Paris, FR: Assistance Publique-Hôpitaux de Paris. Ebrahimnejad, H. (2018). Medicine in Islam and Islamic Medicine. In M. Jackson (Ed. ), A Global History of Medicine (pp. 69-94). Oxford: Oxford University Press. Ebrahimnejad, H. (2011). Kazem Rasti: one of the high-ranking traditional physicians in 19th-century Iran. In E. Yarshater (Ed. ), Encyclopaedia Iranica. Vol.15 New York, US: Columbia University. Ebrahimnejad, H. (2011). Medicine in Islam and Islamic medicine. In M. Jackson (Ed. ), The Oxford Handbook of the History of Medicine (pp. 169-190). (Oxford Handbooks in History). Oxford, GB: Oxford University Press. Ebrahimnejad, H. (2011). What is ‘Islamic’ in Islamic medicine? An overview. In F. Günergun, & D. Raina (Eds. ), Science between Europe and Asia: Historical Studies on the Transmission, Adoption and Adaptation of Knowledge (pp. 259-270). (Boston Studies in the Philosophy of Science; Vol. 275). New York, US: Springer. Ebrahimnejad, H. (2010). Glimpses of relationship between hospital, state and medicine in nineteenth-century Iran. In A. M. Moulin, & Y. I. Ülman (Eds. ), Perilous Modernity: History of Medicine in the Ottoman Empire and the Middle East from the 19th Century Onwards (pp. 97-103). Istanbul, Turkey: The ISIS Press Istanbul. Ebrahimnejad, H. (2009). Hospitals and Development of Medicine in Nineteenth-Century Iran. In M. Harrison, M. Jones, & H. Sweet (Eds. ), From Western Medicine to Global Medicine: The Hospital Beyond the West (pp. 249-273). (New Perspectives in South Asian History; No. 27). Himayatnager, India: Orient BlackSwan. Ebrahimnejad, H. (2009). Introduction: for a history of medicine in non-Western countries. In H. Ebrahimnejad (Ed. ), The Development of Modern Medicine in Non-Western Countries: historical perspectives (pp. 1-22). (Royal Asiatic Society Books). Abingdon, UK: Routledge. Ebrahimnejad, H. (2009). The waqf, the state and medical education in nineteenth-century Iran. In The Development of Modern Medicine in Non-Western Countries: Historical perspectives (pp. 59-82). (Royal Asiatic Society Books). Abingdon, GB: Routledge. Ebrahimnejad, H. (2008). Jâlînûs (Galen). In Encyclopaedia Iranica New York, US: Columbia University. Ebrahimnejad, H. (2007). Ali Quli-Khân. In Encyclopaedia of Islam Leiden, NL: Brill. Ebrahimnejad, H. (2004). Religion and Medicine in Qajar Iran. In R. Gleave (Ed. ), Religion and Society in Qajar Iran (pp. 401-428). (Routledge/BIPS Persian Studies; No. 4). London, GB: Routledge. Ebrahimnejad, H. (2003). An institutional and epistemological study of medical modernization in 19th-century Iran. In S. Barjesteh van Waalwijk van Doorn-Khosravani, L. A. F. Barjesteh van Waalwijk van Doorn-Khosravani, M. Eskandari-Qajar, & M. R. Tahmasbpour (Eds. ), Qâjâr Era Health, Hygiene and Beauty (pp. 79-89). Rotterdam, NL: IQSA and Barjesteh van Waalwijk van Doorn & Co Uitgeversmaatschappij. Ebrahimnejad, H. (1998). Les médecins français en Iran Qâtâr, un choix politique. In Ž. Vesel, H. Beikbaghaban, & B. Thierry de Crussol des Epesse (Eds. ), La science dans le monde iranien: 2e édition (pp. 265-287). (Bibliothe?que iranienne; No. 50). Téhéran, Iran: Institut franc?ais de recherche en Iran.